The laws regarding the protection of your data have changed dramatically and for the better. As we deal with both your information, and that of your children we aim to be as open and as transparent as possible. To book onto our classes we need to know who you are and how to contact you. We also need to know the age of your child(ren) to make sure the class is appropriate. We will hold details of your name, address, contact details, name and age of your child(ren) and details of the classes and events you have attended. Finally, when you are paying, the payment provider needs to know your details to verify the card (this information is not retained by us). We share your data with third party companies who help us in processing the data in hosting the website and companies who process payments on our behalf. When booking for the first time we would prefer you opt-in so that we can tell you about any offers or when rebooking time comes around. Our classes can be very full and have waiting lists, so we would rather we make sure you know when it’s time to rebook. If you choose not to opt-in we will announce rebooking schedules at class and on our Social Media platforms. On re-booking we will ask you to opt-in again. This is an expanded option where we want to share more details about our other offerings, special offers at the shop, and in the future to share learning tips that are catered to specific developmental learning points in your child’s journey. Again, these offers will be made available elsewhere but by opting-in you get to see them without having to look for them. All offer’s or information will only be from companies within the WOW Group. We will never sell or share your data with others without your consent and your decision to do so Unless required by applicable law or pursuant to a court or similar order. You can withdraw your consent at any time. Simply email us at info@wowworldgroup.com and we will confirm when we have done this. If you wish a copy of all information held, please email the same address. If you believe we are processing your personal data not in accordance with the law you can complain to the Information Commissioner’s Office (ICO). All companies and the GDPR acknowledge that data breaches can and do occur. WOW has processes and controls put in place to minimise the possibility of a breach, but also when there is a breach to minimise the impact and to ensure that those affected are kept informed. Our policy to communicate a breach is available on request. Within your relationship with the the WOW Group, you will interact with several Data Controllers. This is not unusual or unique to us and they include the specialist companies that perform certain functions for us such as taking payment or running the shopping page and class booking system. We have contracts with each of these companies and review their policies and procedures on a very regular basis. Should you wish to know more about this you may contact our Data Protection Office on info@wowworldgroup.com. Google Analytics is a free service provided by Google inc. which sets a cookie to that allows us to evaluate how visitors use the site, and give us broad trends in how people access the website such as whether using a computer or a mobile phone. This is essential to us in helping make sure we provide the right information in the right format for our visitors. 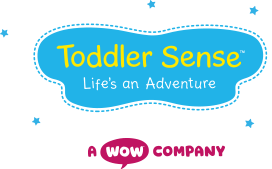 Baby Sensory Limited, The Wow Centre, Faraday Road, Salisbury, Wiltshire, England, SP2 7NR, company number 05454365.